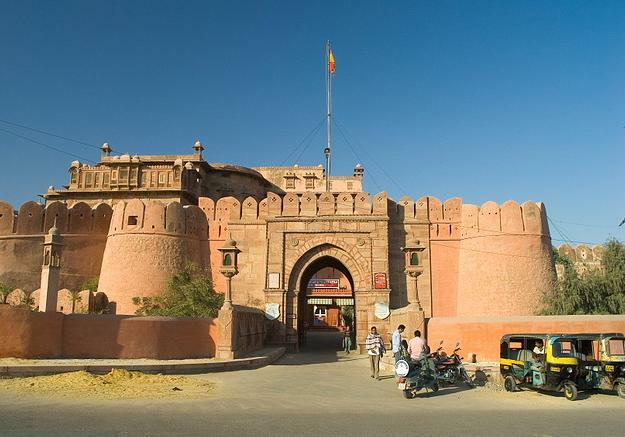 Bikaner, the walled city on the Rajasthan border is famous for its forts, palaces, temples, fairs and festivals, arts and crafts, folk music and wildlife. A large number of tourists visit this impressive and captivating city to explore its beauty and timeless charm as evident in various monuments. Bikaner dating back to 1488 AD was established by the Rajput prince Rao Bika ji, a descendent of the founder of Jodhpur, Rao Jodha ji. Bika ji selected this barren land called "Jungladesh" and shaped it into an impressive city, called Bikaner. As per archaeological records civilizations flourished in this region much before the Harappan period. The city wraps layers of history and interesting anecdotes within its narrow streets lines with havelis and palaces. Tribal silverware, Kundan jewellery and artefacts. Raja Rai Singh built this formidable fort in the late 16th century. Resplendent in marble and red sandstone, the fort has an extensive wall with 37 bastions and two entrances. Entered through the Karan Pol, the interiors of the fort unfold Rajput palatial spaces such as the Anoop Mahal with its gold leaf painting, Chandra Mahal or the moon palace, Phool Mahal or the flower palace with mirror inlay work, Har Mandir as the royal place of prayers, Ganga Niwas and Rang Mahal or palace of pleasure, The Durbar Hall, Gaj Mandir and the Sheesh Mahal or mirror chamber. This Indo Saracenic architectural beauty can be credited to Samual Swinton Jacob, the British engineer who was commissioned by Maharaja Ganga Singh of Bikaner to build the Lallgarh Palace in 1898. The museum has one of the most exclusive artifacts collection of Rajasthan with unique terracotta ware, weapons, litho prints, miniature paintings of Bikaner school, coins pieces of Harappan civilisation, Gupta and Kushan era as well as sculptures of the late classical time. Managed by the Government of Rajasthan, the museum is currently located in a new building in the Civil Lines. Established as later as 2000, the Prachina Museum is an initiative of the royal family of Bikaner to present the cultural heritage of the place. It showcases the long lost courtly traditions and glorious lifestyle of the Bikaner royalty in a realistic manner. 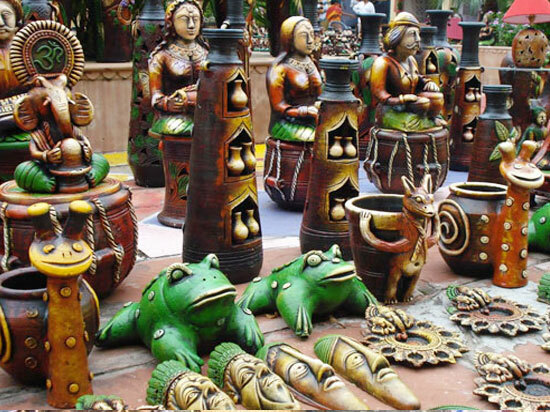 Essentially a craft museum, the Prachina Museum creates a platform for local artists to showcase their traditional crafts that have been an integral part of the splendid Bikaner culture. The gallery of costumes at the Prachina Museum showcases the remnants of a glorious era when clothes were designed for individuals with respect to their social status, personal tastes and personality. Also on display are European wine glasses, cut glass decorative objects, cutlery and crockery used in the regal kitchen, perfumes, ethnic carpets, unique jali rugs and delicately carved period wooden furniture. Located in the Jorbeer area at a distance of about 10 km from Bikaner city, this breeding farm for desert camels was established on 5th July 1984. An elite herd of Bikaneri, Jaisalmeri and Kachchhi breed of camels has been developed and maintained at the Centre. Scientists of the Centre were successful in finding out the genetic variation within and between camel breeds using molecular markers. The technique of embryo transfer has been used successfully in producing two camel calves at the Centre. The Centre has also generated useful information on the double humped camel found in the Nobra Valley of Laddakh region. The Centre has been identified as one of the important tourist places of Bikaner and is included in the tourist map of Rajasthan. The Centre remains open on all days from 2.30 pm to 5.30 pm for visitors. 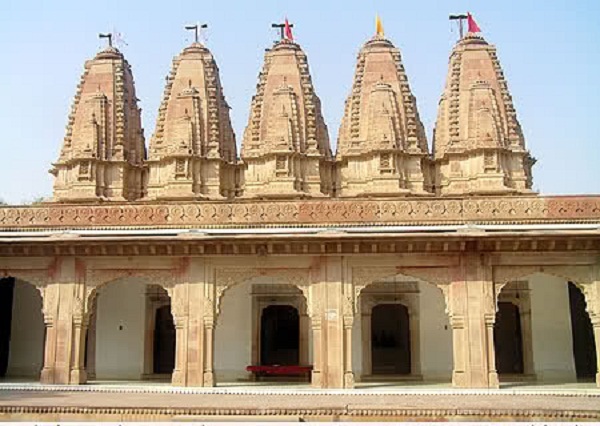 Ratan Bihari Temple Park - A magnificent 19th century shrine built like a mansion by Ratan Singhji and Sardar Singhji is located in the Ratan Bihari Park and is worth a visit. Tessitory Public Gardens - This spot is named after Dr. L.P Tessitori, an Italian Scholar who came to Bikaner in 1915 AD, and is well known for his great contribution to bardic literature of this region. He worked and died in Bikaner. 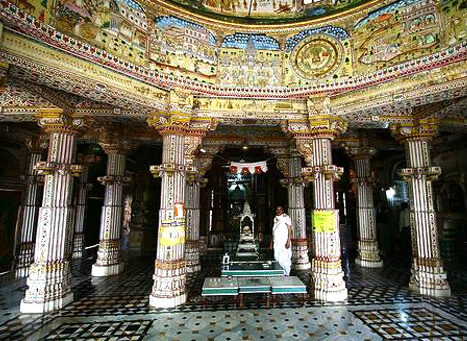 Bhandasar Jain Temple (5 km from Bikaner) - The 16th century temple is dedicated to the 5th Tirthankar of the Jain Religion. It is decorated with exquisite mirror work, frescoes and gold leaf paintings. It is carved in red sand stone and white marble. Shiv Bari Temple (6 km from Bikaner) - Built by Dungar Singhji in the late 19th century, this temple is surrounded by an embattlement wall. It has four-faced black marble Shiva statue and a bronze Nandi facing the Shiva-Lingam. This red sandstone temple attracts thousands of visitors during Shravan (Feb) especially on Mondays. Devi Kund (8 km from Bikaner) - As the site for the royal cenotaphs, Devi Kund has several exquisite cenotaphs built in memory of the deceased members of the royal family of Bikaner. While most chhatris are hand carved in red sandstone, Maharaja Suraj Singh's Chhatri is the most impressive of all created entirely in white marble with paintings on the ceiling. Karni Mata Temple (30 km from Bikaner) - Located in Deshnok, the famous shrine of Karni Mata is one of the most visited pilgrim places in the region. She is worshiped as the tutelary deity of the erstwhile Bikaner dynasty. The temple is unique as the rats called Kabas, are venerated here and the shrine is a sanctuary for them. It is believed that these Kabas carry souls of future Charans/bards (children of the goddess) who inhabit the town of Deshnok. These Kabas are held sacred and they move freely in the temple precincts. It is considered highly auspicious to sight a white Kaba. The temple has fascinating huge silver gates and marble carvings that were donated by Maharaja Ganga Singhji. Kolayatji Temple (51 Km from Bikaner, on highway to Jaisalmer) - Kolayat is an old pilgrimage centre where Kapil Muni of Vedic fame is believed to have shed his body under a banyan tree. Kolayat has a series of charming marble temples, sandstone pavilions and 32 ghats (bathing places) built around a huge artificial lake which never goes dry. Here one can see sadhus and pilgrms taking a holy dip, surrounded by the vast emptiness of a timeless atmosphere and the golden desert. On Karthik Purnima day a grand fair is held in which devotees from all over the country come for a holy dip in the lake. Kalibangan (205 km from Bikaner) - Located in Hanumangarh district, this is an interesting archaeological site with remnants of the pre-Harappan and Harappan settlements. Archaeology at Kalibangan reveals that Rajasthan had been an important centre of the ceramic industry. The paintings on the ancient pottery from Kalibangan bear close affinity and resemblance with the Harappan designs. The Harappan remains include a cemetery and a fortified citadel. Spread over 6000 acres, the forest reserve of Gajner transformed into a famous shooting reserve for sandgrouse with the building of the Palace next to the Gajner Lake by Ganga Singh of Bikaner. The royalty identified the surrounding forest and the lake as hunting grounds and this hunting resort was soon transformed into a Palace Complex. Besides its panoramic landscape and architectural beauty, the Palace Complex also has remains of a historic railway station. This hunting resort of the Bikaner royalty was connected to their Palace in Bikaner by a Railway line in 1922 and also marked the beginning of the Bikaner – Sutlej canal project showing regional development initiatives of the Maharaja of Bikaner.